Not everyone is lucky enough to have naturally straight, white, healthy teeth. Often times things like aging, genetics, or even accidents can affect their appearance and make people want to hide their smiles from the world. But fortunately, nobody needs to live with a smile they don’t really like. With cosmetic dentistry from our dental office in Douglasville, we can transform any smile into one you love and are proud to show off. Which Cosmetic Dentistry Treatment is Right for You? While there numerous forms of cosmetic dentistry available, the same solution isn’t appropriate for everyone, even if their concerns are similar. Sometimes the recommended treatment for one person’s crooked teeth is different from what’s right for their friend, for example. Let’s look at some common cosmetic dentistry treatments and explore the variety of problems they can solve. Tooth Whitening – Just like the name suggests, professional tooth whitening transforms a dull or discolored smile into a bright, white, dazzling grin. Composite Bonding – Perfect for several dental problems, composite bonding can help fix chips, cracks, crookedness, and discoloration. Porcelain Veneers – Similarly to bonding, veneers cover the tooth surface and correct staining, chips, and breaks, and straighten smiles. They’re also successful at changing the shape of individual teeth. Smile Makeovers – A complete smile transformation comes in the form of a smile makeover. 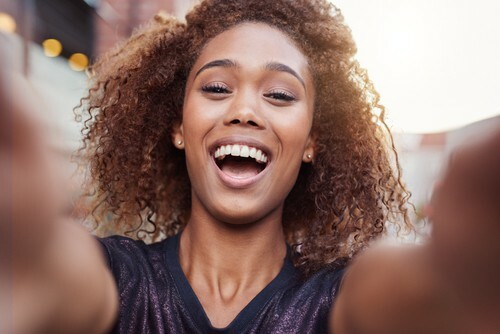 Smile makeovers allow your dentist in Douglasville to combine several cosmetic dentistry treatments to achieve your dream smile. If you’re ready to fall in love with your smile, give our Douglasville dental office a call to schedule an appointment today. We’ll talk about the aspects of your teeth that you aren’t crazy about and discuss the best treatment options to give you a smile you’re proud of. Accepting patients from Douglasville, Lithia Springs, Villa Rica. It’s not uncommon for the month of February to be full of hearts — candy hearts, heart shaped boxes of chocolate, and a whole host of other gifts given in the name of love. At our Douglasville dental office, we’re all for celebrating love, but this February, we’d like our patients to pay attention to a different kind of heart — the one inside you — and ways to keep it healthy. February is recognized as Heart Health Month and is used to raise awareness of the seriousness and widespread occurrence of heart disease in America. 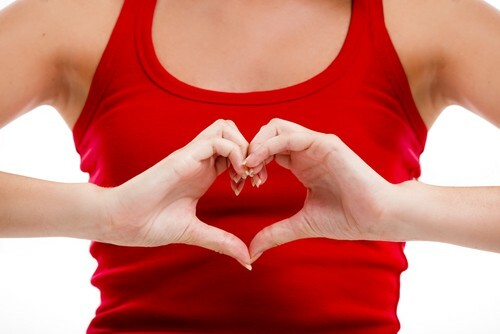 Here are some important facts you should know about heart disease. Heart disease is the leading cause of death in the U.S.
Why should you take heart health advice from a dentist? Isn’t that what a cardiologist is for? Well, yes, a cardiologist is the best person to help diagnose and treat any heart problems you may have. However, your Douglasville dentist can be a crucial part of your health care team. In recent years, there have been numerous studies that show a clear link between gum health and heart health. In fact, gum disease doubles a person’s risk of heart attack or stroke. But how? How Can You Minimize Your Risk? There are ways to decrease your chance of gum disease and the overall health concerns associated with it. Start with maintaining regular visits to our dental office in Douglasville. In between appointments, make sure to brush your teeth twice a day, floss everyday, and avoid tobacco products. Proper dental care can, in fact, save your life. My dental implants are the best investment I’ve ever made.